I knew how much he loves the dish, so it was hard to say “No I can’t make it”. 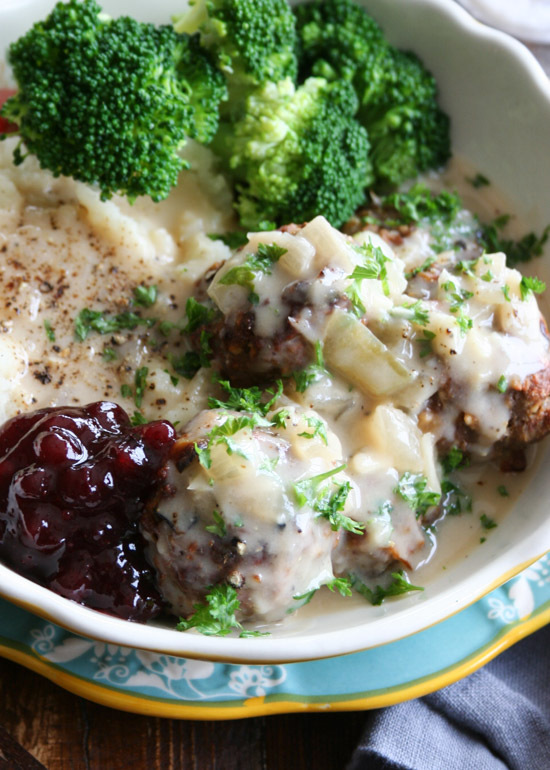 But for the longest time I didn’t think it would be possible to make plant-based Swedish meatballs. But this recipe changed everything! 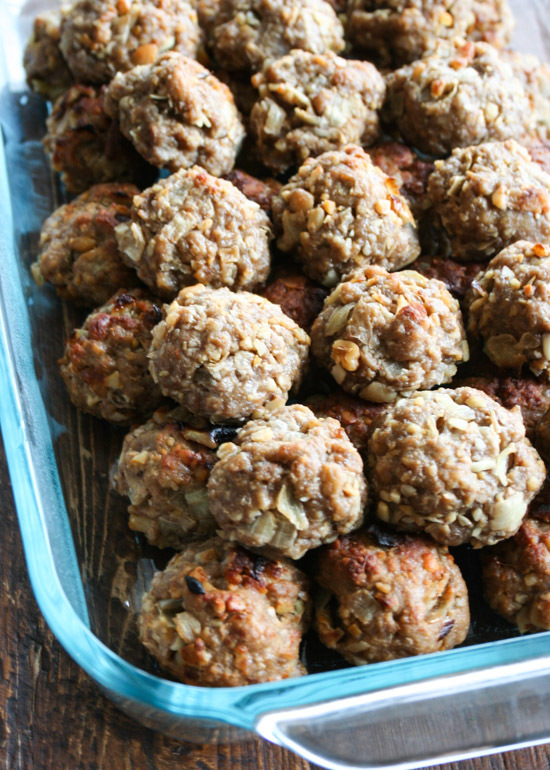 When I tried it the first time, I loved it so much that this time I made a double batch. 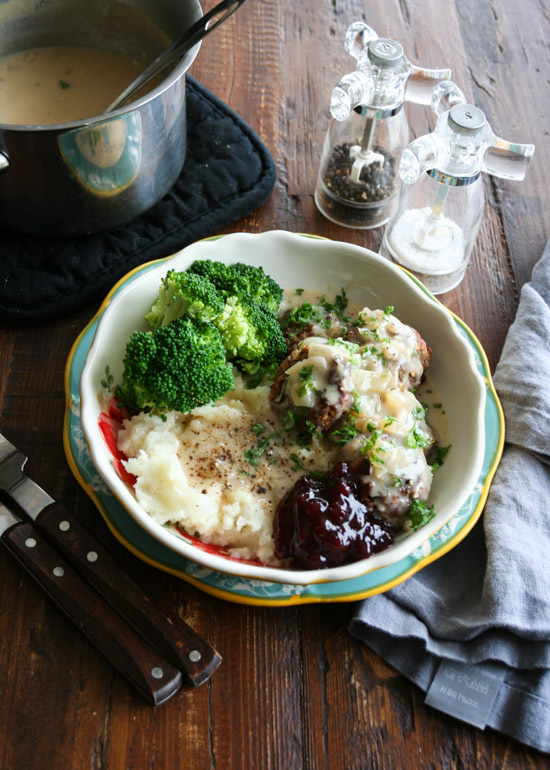 Of course, Swedish meatballs have to be served with mashed potatoes, lingonberry jam, and some veggies (because I said so!). 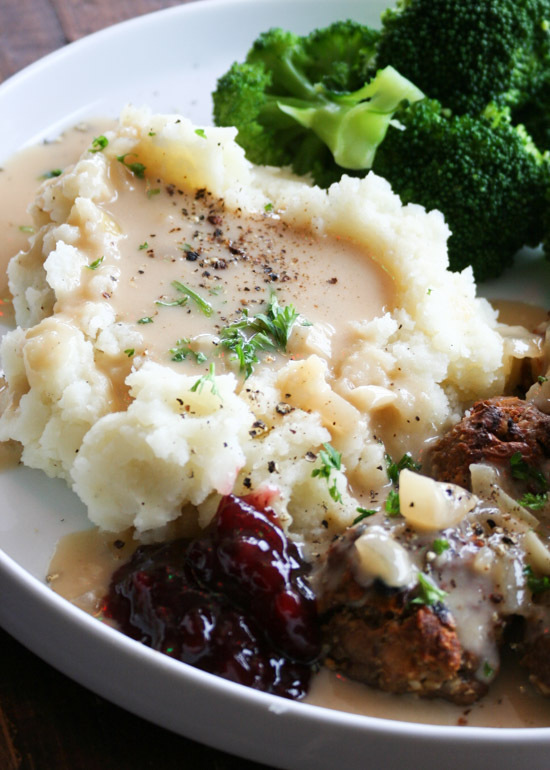 I always make extra gravy, because my husband and I both like a lot of sauce/gravy. 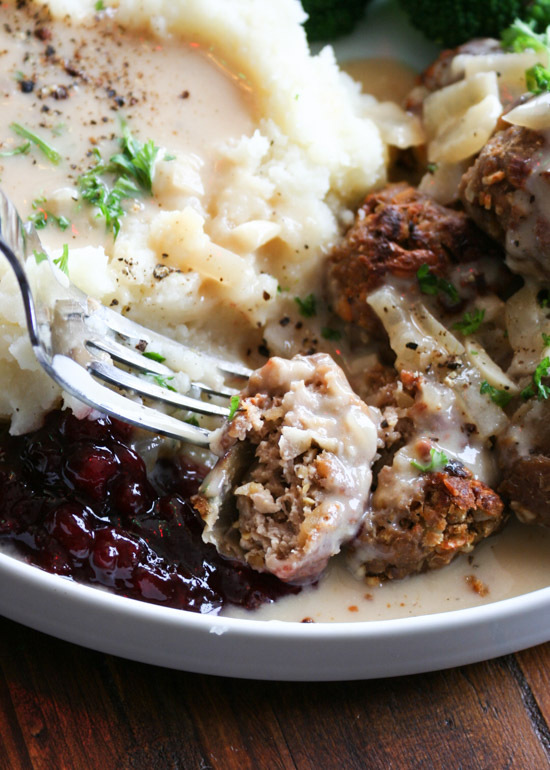 These vegan meatballs are just so good! I hope you can see how wonderful the texture is. This was written by Reiko Tanaka. Posted on Friday, November 9, 2018, at 9:47 pm. Filed under Potatoes/Squash. Bookmark the permalink. Follow comments here with the RSS feed. Post a comment or leave a trackback.